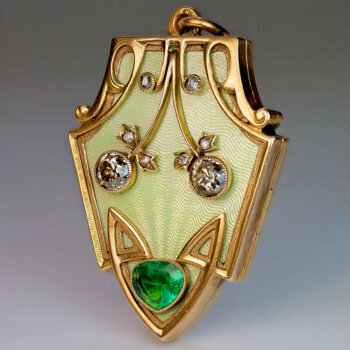 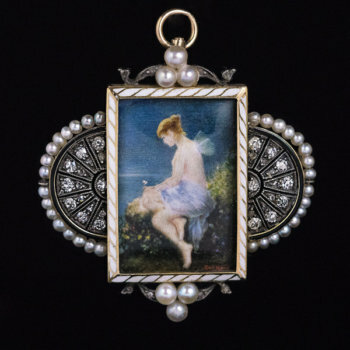 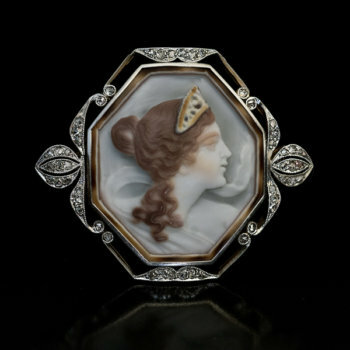 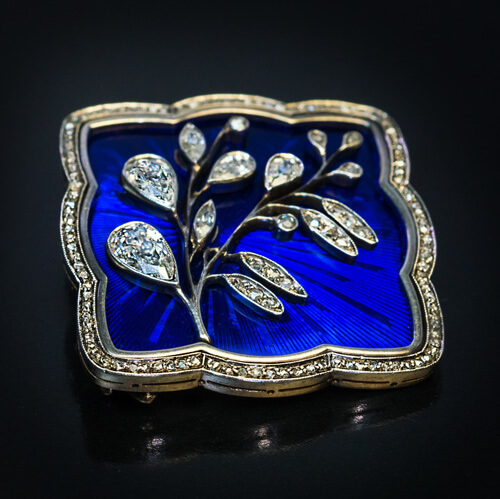 This exquisite Tsarist era brooch / pin was made in Moscow between 1908 and 1917 by a prominent jewelry firm of Feodor Lorie. 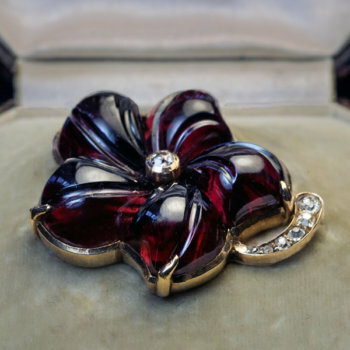 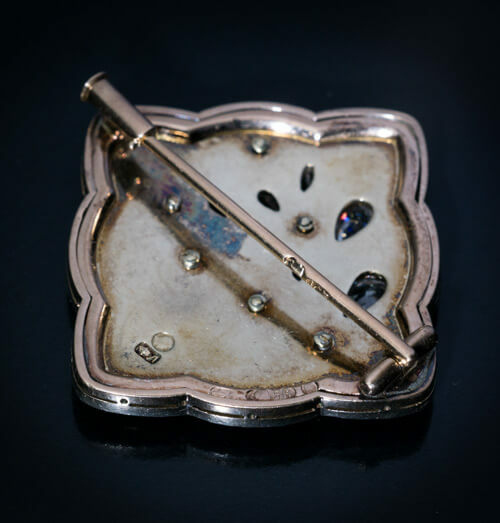 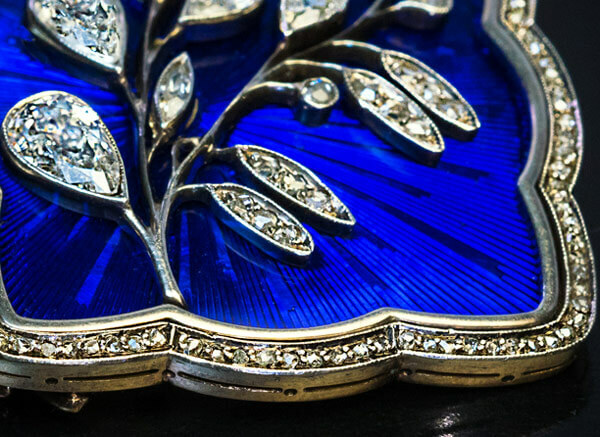 The brooch is handcrafted in 14K gold and silver. 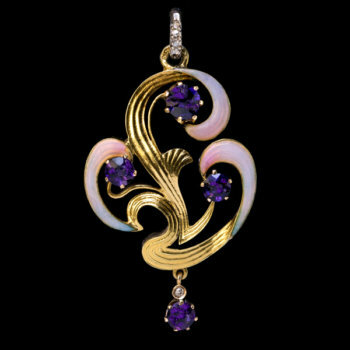 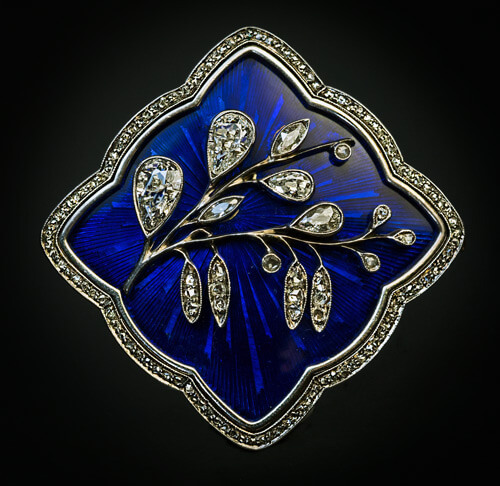 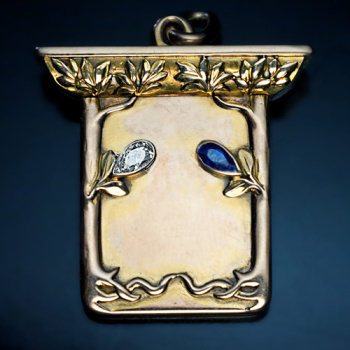 It features a finely modeled Art Nouveau diamond flower mounted on a superb quality royal blue guilloche enamel plaque framed by rose cut diamonds. 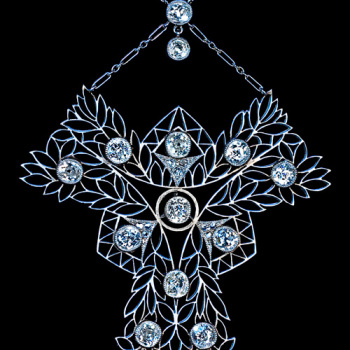 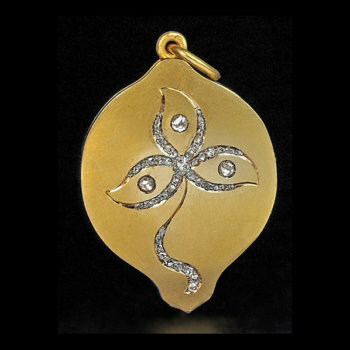 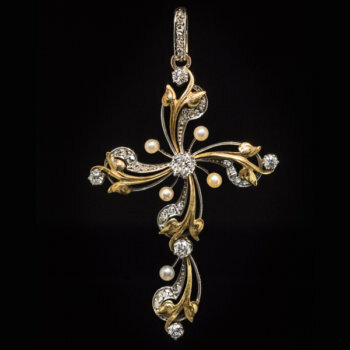 The flower is embellished with old pear cut, marquise cut and rose cut diamonds. 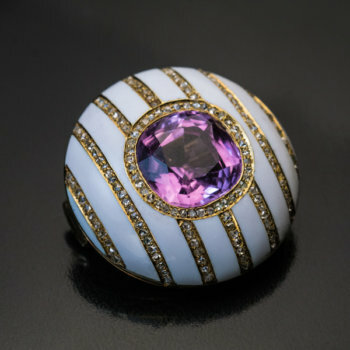 Estimated total diamond weight is 1.20 ct. 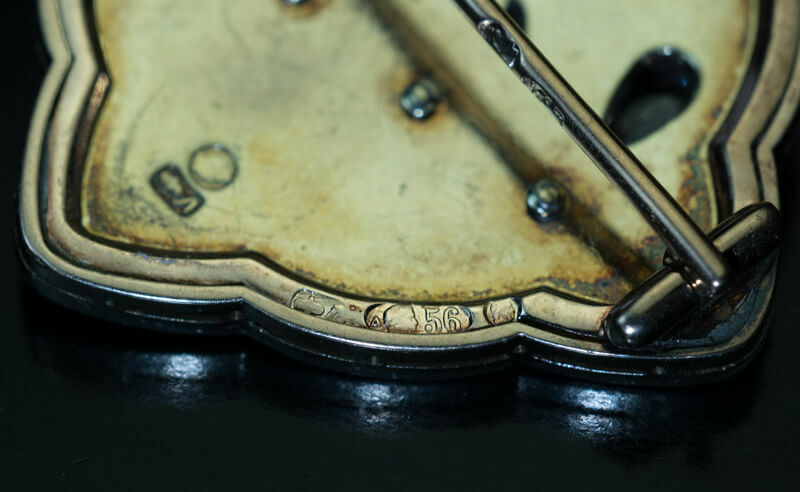 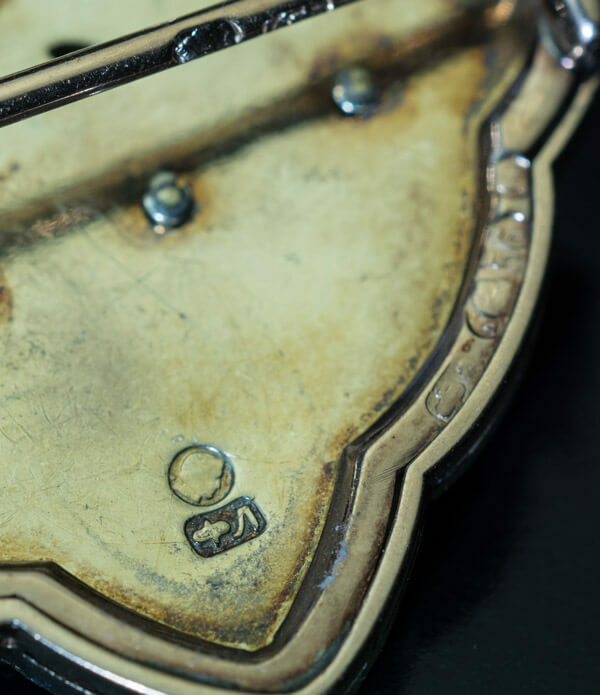 Marked with 56 zolotnik old Russian gold standard, Moscow assay marks and maker’s initials ‘ФЛ’ for Feodor Lorie.